Following the character posters released earlier today, DreamWorks Animation has unveiled a new clip from Rise of the Guardians. Chris Pine stars as the mischievous Jack Frost, who controls all aspects of winter weather. The only problem is, nobody believes in him, so the children who frolic in his snowy creations cannot see him. Jack is enlisted to join the Guardians to help stop the evil Pitch (Jude Law), but he reveals that being a hero isn't exactly his cup of tea. 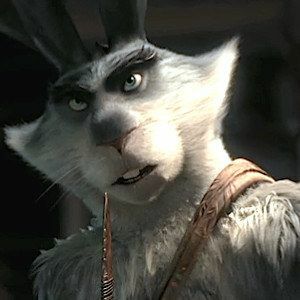 Take a look at this scene where Jack offends the "Easter kangaroo" Bunnymund (Hugh Jackman).